You may not think of Massachusetts as being the sunniest state in the union butMassachusetts has a lot of potential when it comes to adopting solar energy. With plenty of support on the state and federal level, Massachusetts is one of the easiest states to get and switch to solar energy. Incentives, programs, and tax breaks are helping to increase the appeal and viability of solar energy as a renewable energy source. Electricity, on average, costs Massachusetts residents about .17/kwh, which is slightly higher than average when you compare energy rates to the rest of the country. Solar energy helps people cut back on their own utility bills and helps converse the environment. Questions? we’r here to help! our trusted network of installers or on call to assist you with any questions or concern you might have. A free consultation will help you get clarifications, and understand the exact costs and savings of your unique home. fill out our contact form here. Many countries around the world and individual states have adopted their own RPS, or renewable portfolio standard. An RPS sets guidelines for how much renewable energy should make up an area’s energy production portfolio. Massachusetts’ RPS calls for 25% of the state’s energy production to come from renewable energy sources by 2030. 15% of the RPS is to come from Class 1 installations, or new installations altogether, by 2020. Legislation has also demanded that production from Class 1 installations increase by at least 1% every year. 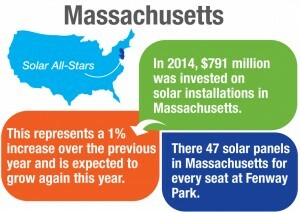 Massachusetts’ RPS calls for .5% of the state’s RPS to be met by solar energy by 2020. This measures out to a cool 1600 MW of solar to be produced each year by 2020. By 2017, expect the state to be producing up to 400 MW. The average cost of electricity in Massachusetts is about .17/kwh, higher than average for the region. Saving money on power bills, especially during high volume months, is imperative. Solar panels can help offset the expense of your monthly utility bill. By leasing a system for zero money down, you can even begin experiencing many of the financial benefits of solar energy today. Some homeowners have been able to save up to $83 or more per month on their monthly utility bills. Massachusetts Solar Case Study: Haw Much a 5KW PV System Costs ? Everyone wants to know how much do solar panels cost, and rightfully so. Well, a typical 5KW system in MA should cost you in the $17,000 dollars range. But that’s just to start with, now, you need to apply all the incentives: Start with Solar rebate, in MA will reduce your bill by $2000 dollars. (!). Now, apply the 30% federal tax credit , which will bring your new total to about $10,000 dollars. (30% of $15,000). wow. this is no joke. But wait, we’re not done yet. Next up: Apply the Massachusetts state tax credit (15%), to a new total of $9000 dollars. To that, you need to apply the SREC incentive (see below) and take into account your first year savings to a new total of $7000 dollars. That’s $10,000 dollars worth of incentives, and that, my friends, it exactly the point. These incentives are their for you!, they are real, available, and taking advantage of them will only make your life easier. and oh ye, you get to help the environment too! The above case is just an example. If you wish to know exactly what is the cost for your specific home, you should talk to a local installer we trust for free. just fill in the form, and a professional and experience installer from MA will call you, discuss your specific needs, and will tailor a great system, applying all incentives and benefits for you. Here is another example: The community of Lenox, Massachusetts recently began an initiative to fund a grant program, encouraging residents to adopt solar energy. What they found was that they were able to produce up to $3.90 per watt of electricity produced by their solar panel systems, saving members of the community time and money. Don’t wait to purchase your solar system today. By buying or leasing a solar system, you’ll be able to take advantage of lower utility bills and less dependence on the energy grid. A solar system can be leased with zero money down, making it a cost effective option for people hesitant about springing for a solar panel system. Talk to a solar panel installer today to see if a solar panel system is right for you. By adopting solar panels, you can expect to reduce your utility bills and reduce your dependence on the energy grid. On average, homeowners have seen savings of up to $18,763 over 25 years. That totals out to about $750 a year and $83 a month. There’s a lot you can do with a little extra cash and going solar in Massachusetts can help you save big on your utility bills, even if you still rely on the energy grid to some extent to help meet your own energy needs. The former Commonwealth Solar II program, which provided rebates and grants for residents installing solar panels, will be replaced by Mass Solar Loan, which will connect residents with low-interest loans to help them afford a solar panel system. Homeowners who install a solar panel are eligible for a 15% state tax credit, valued at a maximum of $1,000. Along with this, homeowners can also benefit from the 30% Federal Tax Credit. The 30% Federal Tax Credit can be redeemed for any solar panel system installed before the end of 2016 and is set to run out in 2017. One should also note that there is no cap on the Federal Tax Credit unlike Massachusetts’ own Tax Credit. Solar panels can significantly up your property value. 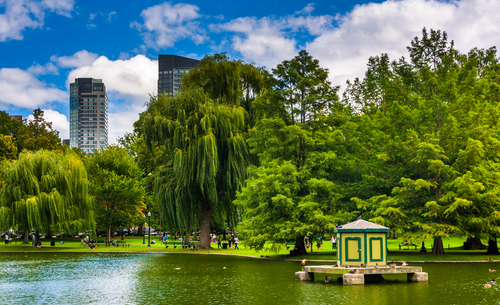 With Massachusetts’ property tax exemptions, you’ll be exempt from potential increases in your property tax for twenty years, regardless of how much value you add onto your home or how much energy you’re saving on your panels. Massachusetts offers one huge bonus for people looking to install a solar panel system. You’ll be exempt from sales tax. The only fees you’ll have to worry about when installing your solar panel system are the price of the unit and the cost of installing the system from the best solar installer team. Is It Worth Investing in Residential Solar Energy in Massachusetts? Absolutely. With numerous programs available and tax incentives, there’s clear financial benefits to investing in residential solar energy. Depending on your energy consumption needs, you can personally benefit from installing a panel as well. Solar energy can help offset utility costs through both net metering and the SREC program. Your results may vary but many people find that installing a solar energy system is a good investment. 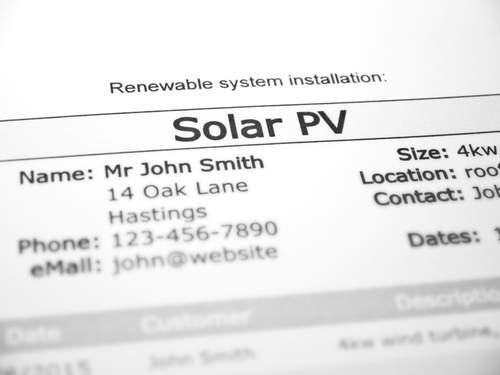 Depending on your solar PV system quotes, you may even begin to benefit almost immediately. Talk to our trusted solar installers today to see if a solar panel system is right for you and see how much you can gain from this one simple change. You’ll have the option of leasing or buying your solar panel system. Leasing your system means that you’ll be able to obtain the system for zero money down. You’ll also begin to benefit immediately from producing your own solar energy. However, leasing your system means you may not be able to benefit from tax credits or property tax exemptions, which is something you’ll want to keep in mind. However, leasing a system will still allow you to save a significant amount of money on your utility bills. Once your lease runs out, you will also have the option of purchasing your system later. On average, most solar systems tend to pay for themselves within four to five years in Massachusetts. If you purchase your system, you’ll be eligible to receive both the state and Federal Tax Credit for purchasing your solar system, allowing you to benefit from tax credits covering about 40% of the system’s cost. You’ll also be able to benefit from net metering, the SREC program, as well as reduced energy costs almost immediately. Can I Lease the System in Massachusetts? Or Should I Buy it Instead? Whether you lease or buy the system depends on your financial situation and your energy needs. If you wish to personally benefit from tax credits and exemptions, you may want to consider purchasing the system. Many tax credits, plus the amount of power your system produces, will allow you to significantly reduce the initial cost of the unit. Plus, you’ll be exempt from sales tax, meaning you only have to worry about the cost of the unit itself and any installation fees. Leasing the system means you’ll be able to enjoy the benefits of the system without having to pay any upfront fees. You can obtain a solar system today for zero money down, making this a cost effective solution for many homeowners. While you may not be able to benefit from tax credits, you’ll be able to save money on your utility bill and will have the option of leasing the system later once your lease term expires. Many people find that installing a solar panel allows them to offset their utility bills and reduce their dependency on the electric grid. While you may not be able to eliminate your energy bill entirely, you’ll be able to save significantly on your utility bills. As every situation is unique, it’s imperative to get in touch with a local solar panel installer to see how much you can benefit from installing a solar panel system today. What About Net Metering in Massachusetts? Residents in Massachusetts can benefit from both the net metering program and/or the SREC program. By net metering, this means that you’ll be added onto the grid. The amount of energy produced by your system is monitored and any surplus energy you produce from your system can be redeemed later as credits on your energy bill. These credits can be redeemed at any time on future utility bills and can be carried over indefinitely. They don’t expire. Different utility companies have different policies concerning how much you can expect to redeem from each kWH of solar power you produce, so do note whatever utility company you rely on in your individual area and what their individual policies may be. The SREC program can be entered into independently of the net metering program. SREC, or solar renewable energy credits, can be sold to utility companies. 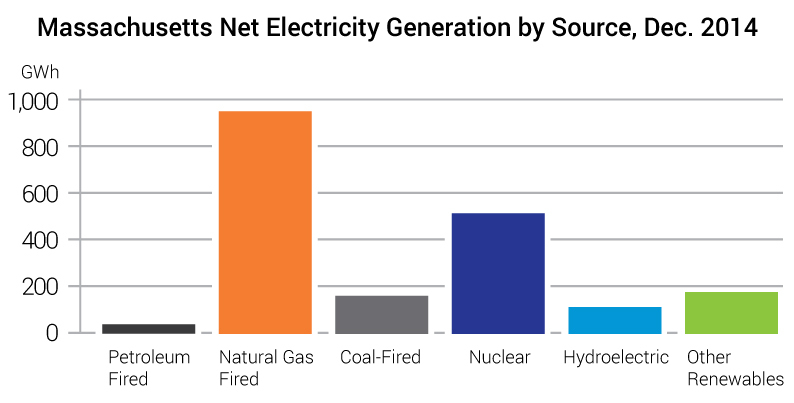 Many utility companies rely on residential production in order to meet RPS goals. SREC costs do vary based on the market but you can expect the market price to increase as capacity goals increase and the RPS expands over the years. You can even trade SREC credits on the market place, something akin to stock. Surly you have questions.. Our advise? Talk to trustworthy local solar panel installers today to see how net metering and the SREC program can benefit you today and what you could gain from both programs. it’s Fast and Free. You can connect with our trusted installers here. Massachusetts may not be the sunniest state in the union. But this state is committed to decreasing their dependence on fossil fuels and encouraging citizens to adopt renewable means of producing energy. Solar energy is an attractive option in Massachusetts due to the many tax credits and rebates offered by the state, as well as the opportunity to reduce energy costs with a rooftop unit. You may be able to save significant amounts of money per month on your own utility bills with a solar panel system as well as doing your part in reducing carbon emissions and helping keep Massachusetts green. Get in touch with a trusted solar panel installation team today to find out how much you could be saving and how much you would benefit from adopting solar power for your home.